Sash in Royal Blue with burgandy diamond pattern. 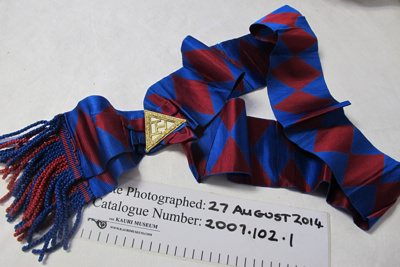 (Companion to Royal Arch chapter apron). sash meets at pyramid shaped masonic emblem in gold with kid backing. fringed at end with deep red and blue fringing.